We are well equipped at Component Engineering to handle all your simple and complex machining requirements. In addition to machining all of the common steels and alloys used today, we also have experience with copper, brass, aluminum, plastics, and specialize in all stainless steels. Casting work has become a large part of our business, with these also being machined from all types of material. 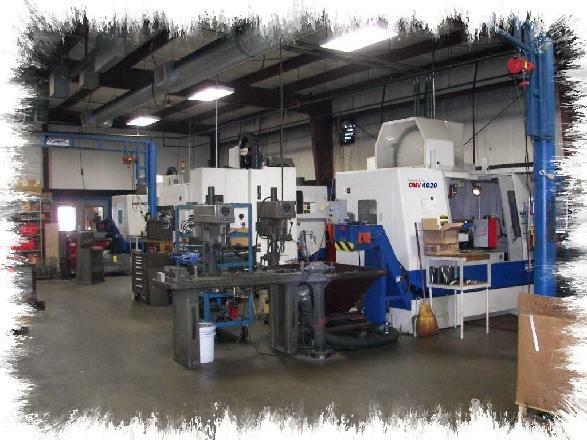 Our facilities list consists of many late model Mori Seiki, Daewoo Doosan, and Mazak machine tools. All of our machining centers have 5 axis capabilities along with our Mazak Integrex 300 SY with a 4â� thru hole and sub spindle. A facilities list can be mailed upon request. We also have a Deep Hole Drilling department to add to our CNC capabilities. Our gundrilling equipment can do diameters from .125â� to 2â� going 24â� deep. Ejector drilling is available from .875â� to 1.75â� going 30â� deep and holding very tight microfinish tolerances. Black oxide is another service we offer to our customers. Our line is CNC controller to handle high-volume to small quantity jobs. Because of the computerized line we can offer excellent pricing and delivery. Work can be turned around in one to two days if needed. For more information on Black Oxide Coatings click here. Our Quality Control Department is environmentally controlled. We have a Mitutoyo CMM Model F905H with a 36â�x 22â�x 24â� capacity.